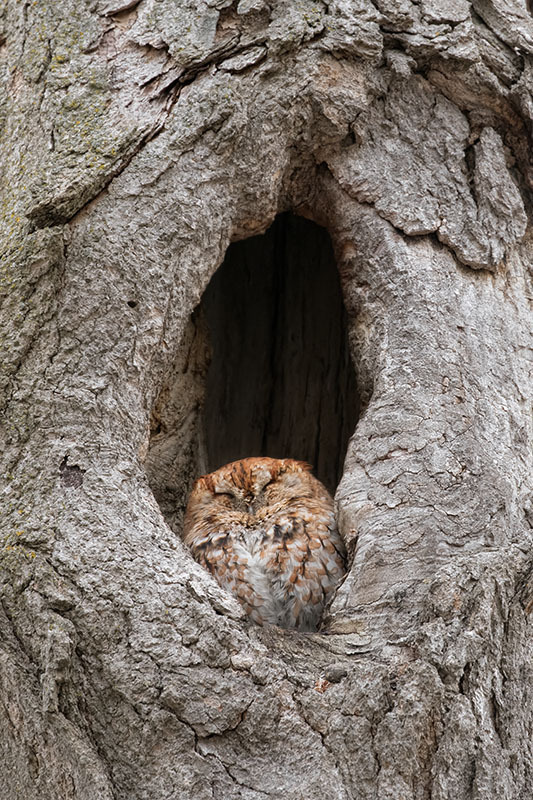 Nice look at the screech owl in its habitat. I like the detail and color. You were contending with difficult light. Nice one, Leigh. I know this guy very well, lives only a few km from my house. Cool shot of the sleeper, Leigh. And a nice, natural setting. Really nice shot. I like how the image shows the tree cavity were they nest. I never even seen Screech owl. Sweet view of this sleepy featherball, Leigh.